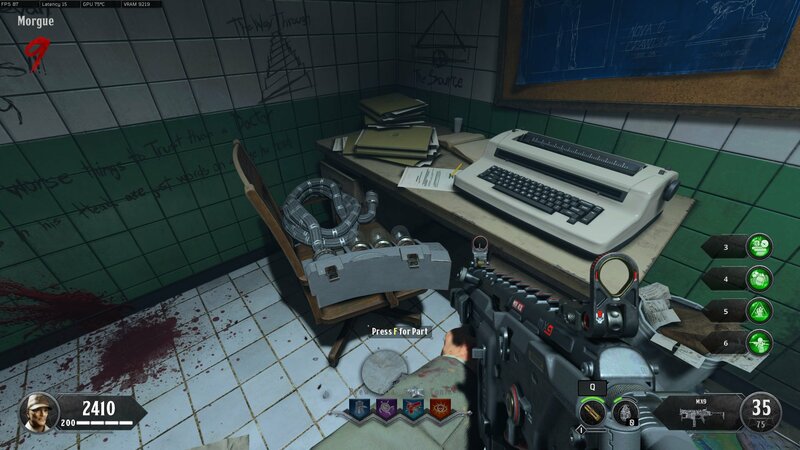 Learn where to find the Pack-a-Punch machine in Black Ops 4's Classified Zombies campaign. Classified is another Call of Duty Zombies campaign that is currently only available with the purchase of the Black Ops Season Pass. Players who want to dive into this remake of an old classic will no doubt want to find and unlock the Pack-a-Punch machine to upgrade their weapons. The process of charging up the Pack-a-Punch is lengthy, so prepare for a fight. Players will need to build a Signal Amplifier, allowing them to fast travel to Groom Lake using the teleporter network. 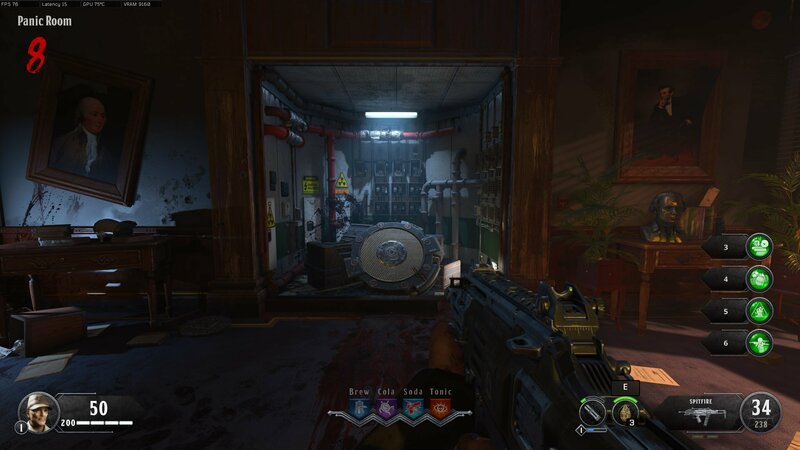 The first step is going to be turning on the power in Classified, so make sure you know how to do that else you won’t be able to proceed. Outside of turning on the power, players will need to collect three parts in order to build the Signal Amplifier, these are located in three separate areas of the map. Because these parts are so scattered, it can be a good idea to split up or even play split-screen with a friend to cut down on the running around. The first Signal Amplifier part can be found in the Main Offices. The Signal Amplifier in the Main Offices can be reached by unlocking the doors surrounding the Conference Room where players spawn in. 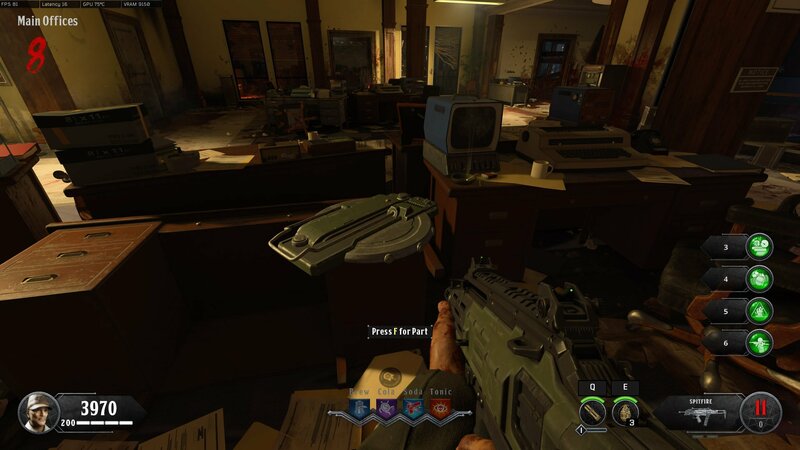 The part should be located on a desk in the main office, though there are reports it can spawn beneath the flag beside the perk machine or below a desk to the side. The second Signal Amplifier part can be found in the Morgue. The next piece of the Signal Amplifier is located in the Morgue, an area only accessible via the War Room. Use the main elevator to reach the South Laboratory and then look for the room labelled “Morgue” and unlock it. Look in the back office for the part – it is a bunch of cables connected to a few light bulbs. This second part could spawn on the bench top near the sink or sitting near one of the three cylinders. The last Signal Amplifier part is found in the Panic Room. The final part of the Signal Amplifier is located in the Panic Room, which can only be accessed by activating all four DEFCON switched in the War Room. Three of the switches are located in the Upper and Lower levels of the War Room, and the fourth is locked in the Server Room. The Server Room is reached from the bottom floor of the War Room. After flipping all four switches, head through the teleporter to enter the Panic Room, at which point a part of the wall will raise, revealing the third part. Take the three Signal Amplifier parts to the Weapons Testing room that is located in Central Filing near the start of the level. Build the Signal Amplifier using the workbench and take it back to the War Room. Approach the teleporter (but don’t go through) and place the Signal Amplifier near the teleporter. A new teleporter will appear in the center of the map, to use it simply activate all four DEFCON switches again. Go through the teleporter to be dropped directly in front of the Pack-a-Punch machine. 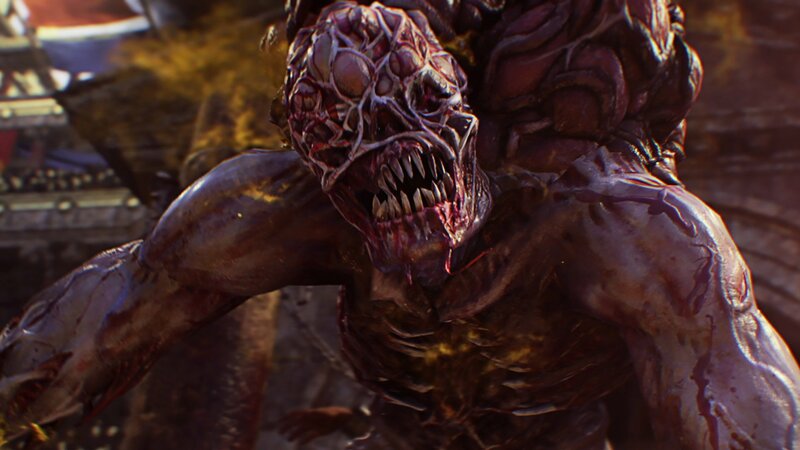 Head on over to the Shacknews Call of Duty: Black Ops 4 guide and walkthrough for more Zombies guides and coverage.